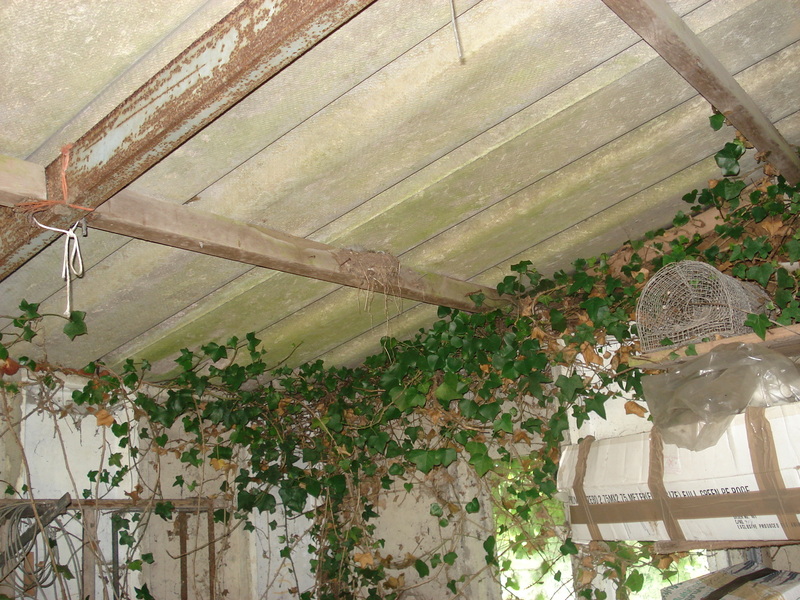 Last year we had a pair of swallows that made their nest in the derelict section of the house we call the pump house. This year we have kept the door closed so they were not able to get in there. Ted next door, says they come back year after year to the same spot, so we were not surprised to see they had moved close by to our open fronted garage. 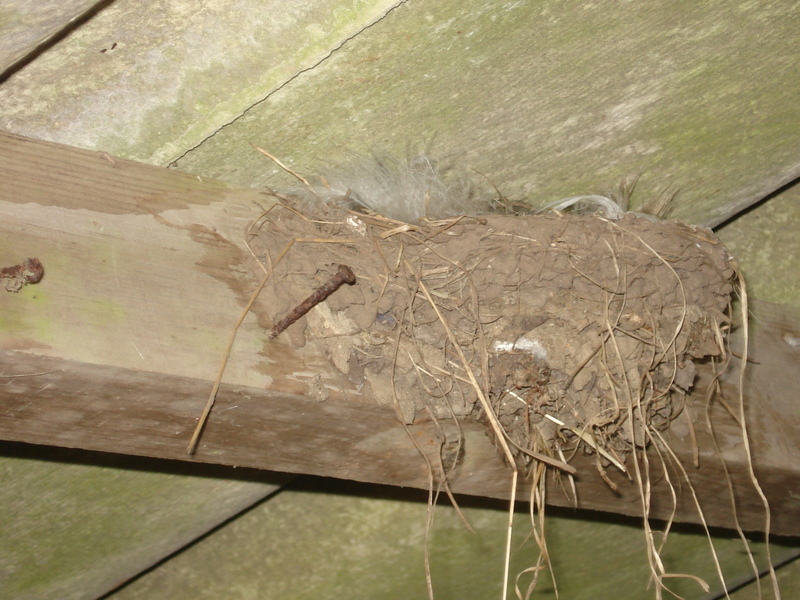 We saw them swooping in carrying bits of grass, and observed as they meticulously stuck the nest to one of the rafters. 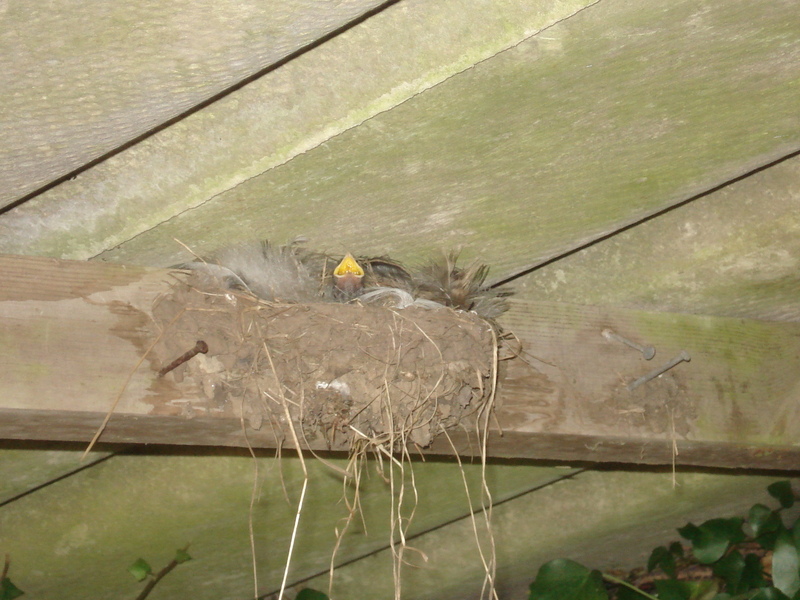 It didn’t take long for the little nest to be finished, perched precariously on one of the beams. We couldn’t see when the eggs were laid as it is rather high up. Yesterday, Neil spotted movement and called out to me “there’s a birdie in the nest!”. It looks like there is just one chick only. So we tried to photograph it, but we didn’t want to stay there too long as we didn’t want to spook it. After a couple of minutes, it behaved just as we wanted it to, and popped it’s little head up. You can just see the yellow beak. So we just hope this little chick survives and we will keep an eye out (from a distance) to see when it takes it’s first flight. Ahhhh! When we have renovated the derelict section for our B&B extension, and updated and moved the garage, this pair of swallows will have to find a new sight to nest in.